My main areas of research are audience metrics and the impact of journalism; youth civic engagement and news/media literacy; and media and disability. Find my research on Google Scholar, ResearchGate, and Academia.edu. Below you will find a complete listing of my publications and a summary of my main findings. Powers, E., & Curry, A. (2019). No quick fix: How journalists assess the impact and define the boundaries of solutions journalism. Journalism Studies (Online first). The U.S.-based Solutions Journalism Network (SJN) defines its mission as supporting and connecting journalists interested in “rigorous reporting on responses to social problems” that can “strengthen democracy” and “improve the overall quality and impact of journalism.” Yet journalists and scholars lack a shared framework for assessing the impact of solutions journalism and its contributions to democracy. As an emerging practice, solutions journalism would benefit from clarity regarding its objectives, metrics used to measure its impact, and when and how its impact should be shared. This mixed-methods study investigates how journalists who practice and promote solutions journalism view its purpose, assess its impact, and define its boundaries. A textual analysis uncovers how solutions journalism is conceptualized and how impact is referenced in SJN’s materials and comments from organization representatives. A survey examines how journalists (n = 50) who are SJN members and have worked on a solutions journalism story evaluate and discuss its impact. Implications for the practice of solutions journalism and scholarship on journalism’s impact are discussed. Powers, E. (2019). How students access, filter, and evaluate digital news: Choices that shape what they consume and the implications for news literacy education. Journal of Literacy and Technology, 20(2), (Accepted for publication). Being a discerning news consumer in the digital age requires an ability to wade through a torrent of online content to find credible and diverse information from trustworthy sources. This mixed-methods study examines how students (n = 37) at a large U.S. public university access, filter, and evaluate news about a topic of interest in an open-web setting, and measures participants’ awareness of their choices that shape what news they consume. Concurrent think-aloud verbal protocols and subsequent semi-structured interviews revealed that students relied heavily on news sources that aggregate content, and trusted their social networks and technology to filter news. They often relied upon cognitive heuristics and lacked awareness of the strategies and evaluation criteria that potentially affect the credibility and diversity of news consumed. Theories of cognitive processing and communication flow help frame the implications for news literacy education and research. Powers, E. (2018). Selecting metrics, reflecting norms: How journalists in local newsrooms define, measure, and discuss impact. Digital Journalism, 6(4), 454-471. Powers, E. (2017). My News Feed is filtered? Awareness of news personalization among college students. Digital Journalism, 5(10), 1315-1335. Personalization algorithms, widely used by digital media sources, filter and prioritize news in ways that may be unapparent to users. Savvy media consumers should be aware of how this technology is used to tailor news to their tastes. This two-part study examines the extent to which U.S. college students are aware of news personalization, and the actions and criteria that affect news selection and prioritization. Interviews with one set of students (n=37) focus on the news sources they use most often to begin a news search. A subsequent survey given to a second set of students (n=147) focuses on Google and Facebook, two influential gatekeepers. Results show that students are largely unaware of whether and how news sources track user data and apply editorial judgments to deliver personalized results. These studies identify aspects of news personalization that warrant greater attention in college curricula. Powers, E., & Haller, B. (2017). Journalism and Mass Communication Textbook Representations of Verbal Media Skills: Implications for Students with Speech Disabilities. Journal of Media Literacy Education, 9(2), 58-75. This study examines representation of disabilities by conducting a qualitative content analysis of how journalism/mass communication textbooks (n=41) frame the ideal standards of verbal communication for media professionals. These texts, which are integral to students’ understanding of professional norms and may influence career decisions, often address best practices in broadcast voicing, and projecting confidence in interviews and press conferences. What are the explicit and implicit messages for students with speech disabilities such as stuttering? We argue that such framing by textbook authors, who are primarily media educators, is a critical media literacy issue because it addresses media diversity and access. Konieczna, M., & Powers, E. (2017). What can nonprofit journalists actually do for democracy? Journalism Studies, 18(12), 1542-1558. Powers, E. & Incollingo, J. (2016). Multimedia journalism professors on an island: Resources, support lacking at small programs. Teaching Journalism & Mass Communication, 6(1), 1-17. This exploratory study examines how professors teaching multimedia journalism courses at programs of varying sizes describe the level of institutional support they receive, the pedagogical challenges they face, and what they hope their students learn at a time when industry demands are shifting rapidly and journalism educators are expected to keep pace. In-depth interviews and a review of syllabi reveal that professors at many of the small journalism programs frequently described operating on an island with little oversight or support—unlike their colleagues at large programs. Multimedia journalism courses focused primarily on high-demand digital skills rather than ethics and theory. Commonly referenced challenges included a lack of institutional resources and difficulties keeping up with the latest industry tools. Implications for the future of journalism education are discussed. Powers, E. & Koliska, M. (2016). Placing trust in others: How college students find news, determine credibility and develop their views of journalism in the digital age. Journalism Education, 5(1), 105-122. This mixed-methods study investigates the role of personal influence in how students across disciplines at a U.S. university find news, evaluate the credibility of news sources, and form their opinions about the news media. Specifically, this study explores how opinion leaders and primary socialization sources shape students’ understanding and use of news at this stage of their development. Findings show that students place great trust in those around them to access and assess news, sometimes at the expense of making independent choices and judgments about the content they consume. Implications for news literacy education are discussed. Powers, E., Moeller, S., & Yuan, Y. (2016). Political engagement during a presidential election year: A case study of media literacy students. Journal of Media Literacy Education, 8(1), 1-13. Yaros, R., Roberts, J., Powers, E., & Steiner, L. (2015). Serving the needs of the Latina community for health information. Health, Culture and Society, 8(1), 20-33. Latinos remain the largest US population with limited health literacy. Concerned with how local media can meet the information needs of underserved audiences, we interviewed Latinas who are pregnant or mothers of young children, living in a community with a high percentage of Spanish speakers, and we surveyed local health professionals. Findings are that Latina women’s most common source of health information was family and friends. They said they tune to television and radio (which they can receive in Spanish), but gave low grades to news media for regular or useful health information. Medical professionals agreed that Latinas generally get their health information through friends and family, and rated the media poorly in terms of serving Latinas’ health information needs. Since this data indicate that local news media are not serving these women’s needs as much as they could, we offer recommendations. Powers, E., Moeller, S., & Yuan, Y. (2014). The push and pull of politics: How media literacy students sign up for, stumble upon and seek out news at election time. Journal of Digital and Media Literacy, 2(2). This exploratory study examined how U.S. students in a college media literacy course accessed political news during the height of the 2012 primary and general election season. An analysis of news consumption diaries over a three-day period around Super Tuesday and Election Day found that students most commonly “pulled” news and rarely relied on “push” notification systems. The General Election prompted significantly more attention than Super Tuesday, as fall students relied heavily on word-of-mouth communication, social media and other forms of ambient news as first-alert systems and television as a way to track results on Election Night. Portlandia’s formula for turning a video project into a television series. Journal of Broadcasting & Electronic Media, 58(3), 342-364. Yaros, R., Powers, E., & Oh, S. (2014). Incorrect terms used to portray possible cell phone risk. Newspaper Research Journal, 35(1), 96-107. This content analysis of new websites reporting the 2011 World Health Organization’s new classification of a possible connection between cell phone use and brain cancer indicated that 20 percent of the stories used incorrect terms to describe the risk. Powers, E. & Yaros, R. (2013). Cultivating support for nonprofit news organizations: Commitment, trust and donating audiences. Journal of Communication Management, 17(2), 157-170. This paper discusses the importance of relationship fundraising and cultivating committed donors for nonprofit news outlets seeking financial sustainability, particularly during a time of major changes in the journalism industry. Specifically, this paper examines four nonprofit news organizations and their audiences of financial contributors. A survey of 465 donors and subsequent interviews with donors found that nonprofit news organizations rely heavily upon individual supporters who typically give often but in small chunks. Donors tend to favor nonprofit journalism organizations that report quality, local news stories not usually found in other news sources. Donors place a premium on developing a relationship with journalists in their communities and are likely to support their local nonprofit news source once the news outlet has earned their trust. Powers, E. & Yaros, R. (2012). Supporting online nonprofit news organizations: Do financial contributions influence stakeholder expectations and engagement? Journal of Media Business Studies, 9(3), 41-62. This mixed methods study investigates engagement of donors to nonprofit online news organizations. Four forms of engagement – financial, digital media, organizational and local community – are considered. Respondents said that even before donating they were engaged in a number of ways and motivated to contribute because of a news organization’s quality of journalism and depth of coverage. Results suggest that after donating, most stakeholders did not report a change in behavior in the majority of the engagement categories measured, but became more engaged in critical areas such as visiting the news outlet’s web site and sharing its content with others. Moeller, S., Powers, E., & Roberts, J. (2012). The world unplugged and 24 hours without media”: Media literacy to develop self-awareness regarding media use. Comunicar: Scientific Journal of Media Education, 39, 45-52. Across the globe, many students have easy and constant access to media, yet they often receive little or no instruction about the impact of their media consumption. This article outlines a 24 hours without media exercise in accordance with the guidelines set in Module 7, Unit 1 of the UNESCO curriculum. In the fall of 2010, nearly 1,000 students from a dozen universities across five continents took part in “The World Unplugged” study. Researchers at the University of Maryland gathered students’ narrative responses to the going without media assignment and analyzed them by using grounded theory and analytic abduction, assisted by IBM’s ManyEyes computer analysis soft. ware. Results showed that going without media made students dramatically more cognizant of their own media habits –with many self-reporting an «addiction» to media– a finding further supported by a clear majority in every country admitting outright failure of their efforts to go unplugged. Students also reported that having constant access to digital technology is integral to their personal identities; it is essential to the way they construct and manage their work and social lives. “The World Unplugged” exercise enabled experiential learning; students gained increased self-awareness about the role of media in their lives and faculty came to better understand the Internet usage patterns of their students, enhancing their ability to help young people become more media literate. Konieczna, M., & Powers, E. (2019). What can nonprofit journalists actually do for democracy? In S.A. Eldridge II & B. Franklin (Eds. ), The Routledge handbook of developments in digital journalism studies (pp. 198-210). New York: Routledge. Powers, E. (2011). The young & the digital: What the migration to social-network sites, games, and anytime, anywhere media means for our future. Journal of Media Literacy Education, 3(1), 63-65. Powers, E., & Curry., A. (2018) No quick fix: How journalists assess the impact and define the boundaries of Solutions Journalism. Paper presented at the annual AEJMC conference, Washington, D.C. Powers, E. (2016). My News Feed is filtered? Awareness of news personalization among college students. Paper presented at the annual AEJMC conference, Minneapolis, MN. Powers, E. (2016). Searching in a state of automaticity: How students access, filter, and evaluate digital news. Paper presented at the annual AEJMC conference, Minneapolis, MN. Konieczna, M., & Powers, E. (2015). Conceptualizing the impact of investigative journalism: How a prominent journalistic nonprofit talks about its work. Paper presented at annual AEJMC conference, San Francisco, CA. Yaros, R., Roberts, J., Powers, E., & Steiner, L. (2013). Serving the needs of the Latina community for health information. 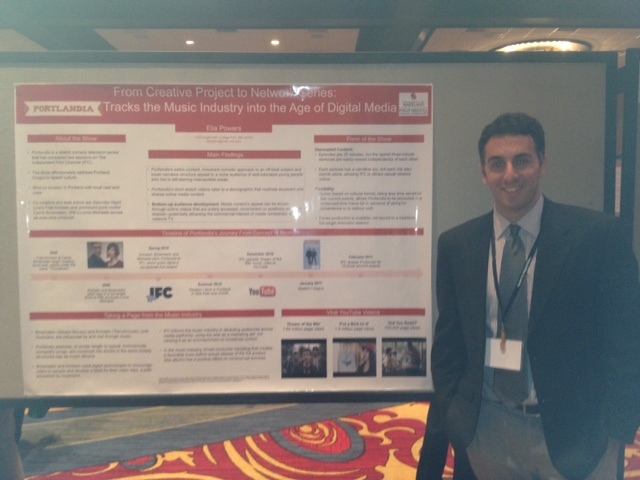 Paper presented at the annual AEJMC conference, Washington D.C. Powers, E. (2012). From creative project to network series: Portlandia tracks the music industry into the age of digital media. Paper presented at the annual AEJMC conference, Chicago IL. Powers, E., & Koliska, M. (2012). Seeing the world through a filter: How college students place trust in others to find news, determine credibility and shape their views of journalism in the digital age. Paper presented at the annual AEJMC conference, Chicago, IL. Yaros, R., & Powers, E. (2012). Reporting a new cancer risk: Analyzing the online coverage of the World Health Organization’s announcement about possible dangers of cell phone use. Paper presented at the annual AEJMC conference, Chicago, IL. Organizer of panel, “How Journalists Define, Measure, and Discuss Impact.” AEJMC conference, Washington, D.C. (2018). Presenter, “How Journalists Define, Measure, and Discuss Impact.” Online News Association annual conference, Washington D.C. (2017). Panelist, “Preparing Your Students for a World of Disability.” Association for Education in Journalism and Mass Communication conference (2016). Organizer of panel, “Assessing Media Literacy: What Skills and Knowledge Do Students Already Possess and What Are They Learning in Class?” 11th Annual Northeast Media Literacy Conference, University of Connecticut (2013).